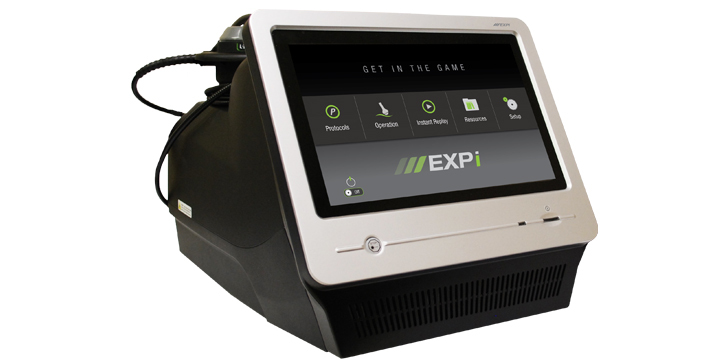 LightForce is proud to unveil the new LightForce EXPi. This new laser therapy system comes equipped with industry-leading influence® technology, a comprehensive 2-year warranty, 0.5 – 25 Watts of therapeutic power, and comprehensive training resources. influence Technology is the newest innovation from the leaders in laser therapy. Harnessing software and hardware advancements, LightForce brings this “next level” technology to new heights and delivers outcomes like never before. The new i-series provides utility where and when you need it. influence Technology allows you to take into account patient-specific considerations to deliver the most appropriate treatments. Customize your treatments based on condition, skin type, body type, and acuity. influence Technology enables you to deliver the same effective treatment every time. Easily save and repeat treatments with confidence.